Travel tips: Spring is the time when international lifestyle magazines and travel publications typically turn their attention to Greece, and that has been the case again this year. 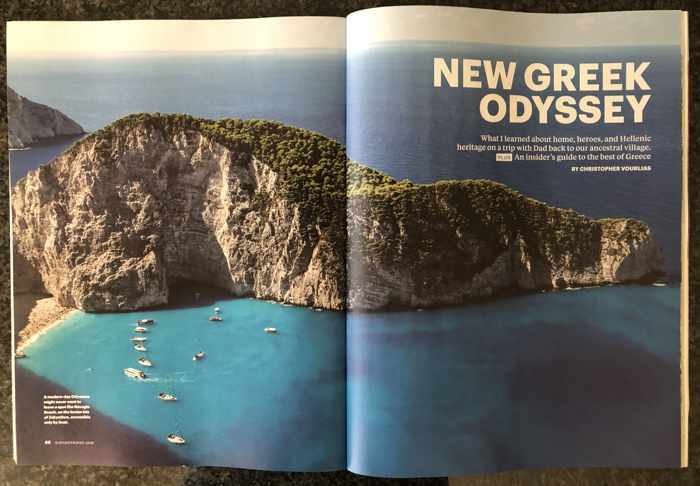 When I browsed newsstands while we were in Greece from late May until mid-June, and here at home after returning from our holidays, I noticed numerous magazines that featured cover stories or major articles focussed on travel to Greece. The two periodicals that appeared the most interesting and informative were the June edition of The Sunday Times Travel Magazine, which I purchased at Athens International Airport prior to our return flight, and the June/July issue of National Geographic Traveler, which I bought at my favourite local bookstore a few days ago. 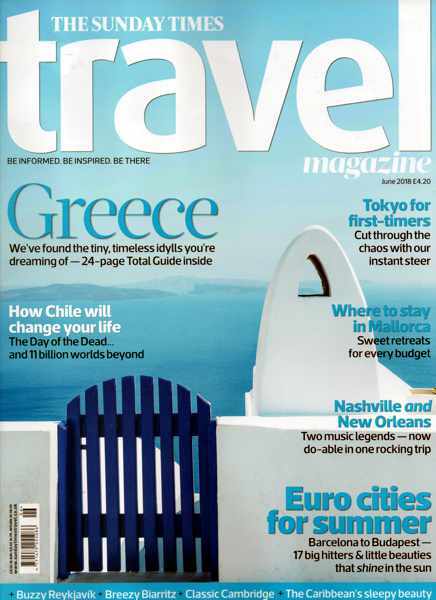 A photo from Santorini island appears on the eye-catching turquoise and white cover of the Sunday Times magazine, where the main cover line proclaims: “We’ve found the tiny, timeless idylls you’re dreaming of” — all revealed in a 24-page Total Guide inside. ♦ recommendations for exclusive rental villas and luxurious all-inclusive resorts. In the feature article “New Greek Odyssey,” Christopher Vourlias relates what he learned about “home, heroes and Hellenic heritage” during a trip to his father’s ancestral village in Central Greece. 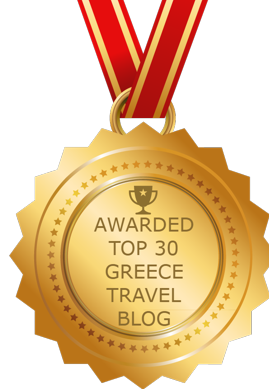 ♦ An “insider’s guide to the best of Greece” — short profiles of specific recommended places to visit for food & drink, history & artifacts, islands & beaches, and culture & people. And as you would expect, the articles in both magazines are illustrated with tantalizing photos of Greek destinations, monuments, and scenery that will make you feel wistful for a trip to Greece — even if, as was the case with me, you may have just had a holiday there. Essential reading: A free magazine I picked up at the Athens International Airport in June, while waiting to fly home after my latest Greek holiday, has me wishing I could take a trip to Thessaloniki soon. Entitled Thessaloniki, the 176-page glossy magazine is packed with dozens of beautiful photos and interesting articles describing the city’s fascinating history, its important cultural institutions, monuments and landmarks, its exciting arts, entertainment and food scenes, and much more. The second-largest city in Greece, Thessaloniki is a dynamic port center and capital of the Central Macedonia region of Greece. It’s “a cauldron of gods and heroes, civilizations and religions; a place where the old and new cohabitate fruitfully. You can sense it everywhere; during a stroll, at the markets and museums, in the architecture, food and music. It’s in the air!” says a welcome page message penned by Giros Tsiros. He’s the editor-in-chief of Greece Is, the wonderful culture and gastronomy website which has published several destination-specific magazine guides, like the one for Thessaloniki, during the past two years. 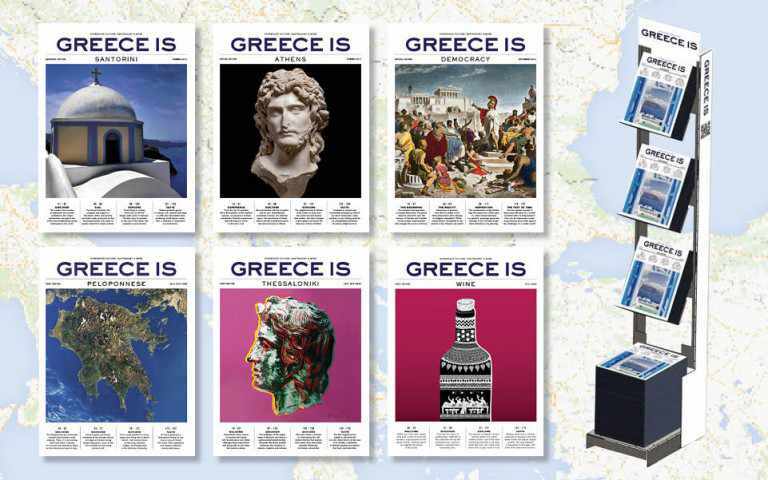 I’m gradually working my way through the issue, learning about the city’s annual arts events and festivals, its popular port and waterfront areas, its thriving design community, its exciting gastronomy scene, and nearby attractions like the scenic Halkidiki peninsula and the historic Mount Athos monastery. There are still many more articles for me to peruse, but already I’m amazed at the astounding variety of things to see and do in and near the city — almost overwhelmed, in fact, since there is just so much that has captured my interest. It makes me wonder why I haven’t heard more people talk about Thessaloniki, as well as ask myself why I haven’t made it a priority to go there. But even though Thessaloniki is blessed with so many places to explore, one of the magazine’s contributors says that simply being in the city is an enchanting and enjoyable experience in itself — visitors don’t have to rush to all the tourist attractions or scour back streets for “secret” shops and restaurants and other hidden gems to discover what the place is all about. With luck I will one day have the opportunity to listen as Thessaloniki speaks to me. In the meantime, I will be learning more about the city as I read the rest of the magazine articles over the summer. 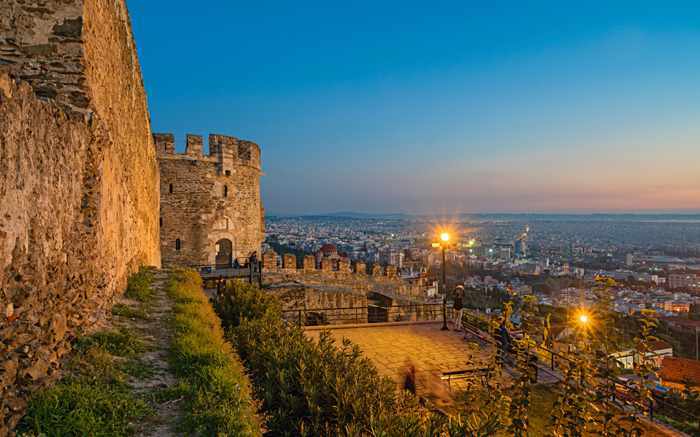 If you will be travelling to Thessaloniki this year, or if you are considering the city for a future trip, be sure to pick up a copy of the magazine so you can get valuable background information, ideas and recommendations for your visit. Thessaloniki is available at several locations in the city itself, as well as in central Athens and at the Athens airport. ♦ the State Museum of Contemporary Art, 21 Kolokotroni St. 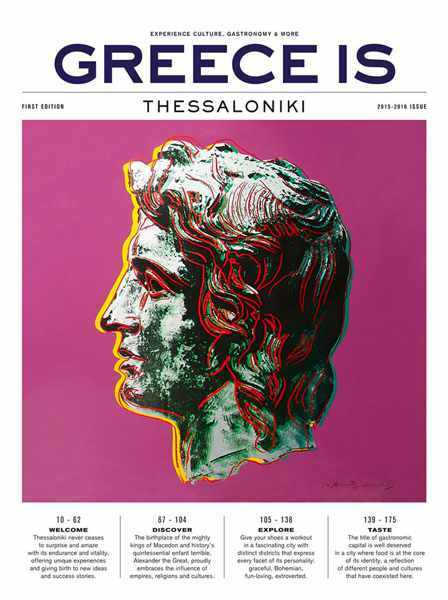 If you can’t get to one of those locations, or if you’d rather read the magazine online, click here to access the collection of Thessaloniki articles on the Greece Is website. Cultural capital: Thessaloniki, the second biggest city in Greece, is already on my list of must-see destinations for future vacations. But an impressive promotional video produced on behalf of the city has left me wishing I could go there ASAP. 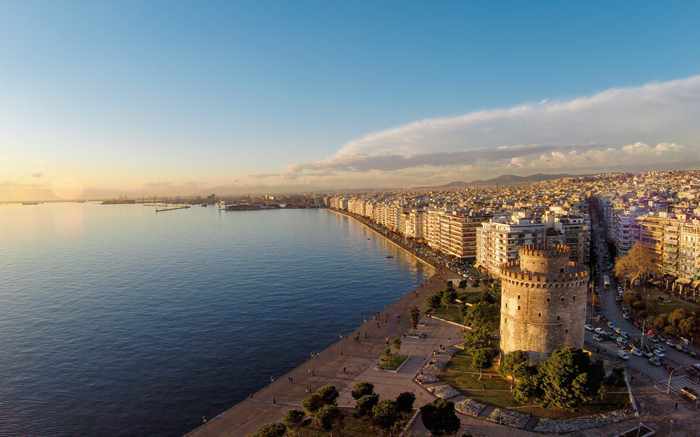 Released on March 18 2016, Thessaloniki, the inside track includes enticing aerial and ground-level views of some of the city’s top attractions, including monuments, historic sites, public squares, the beautiful waterfront and other public places. The notes also describe Thessaloniki as “Gastronomic Capital of Greece,” best party city and best mid-sized European city of the future for human capital and lifestyle. All perfectly good reasons why the city clearly deserves a visit. Should you need further convincing, just give the 3.5-minute clip a watch. I’m willing to bet it will make you want to see Thessaloniki, too.